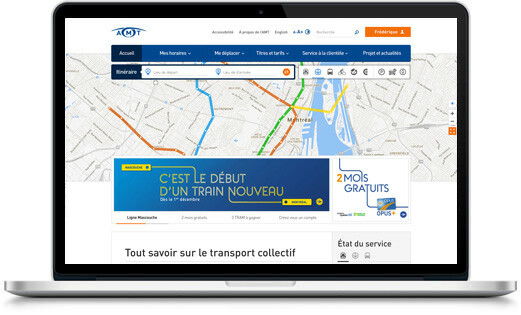 The Metropolitan Transportation Agency (AMT) revealed its new website, which includes information for the better planning of trips by public and alternative transportation. 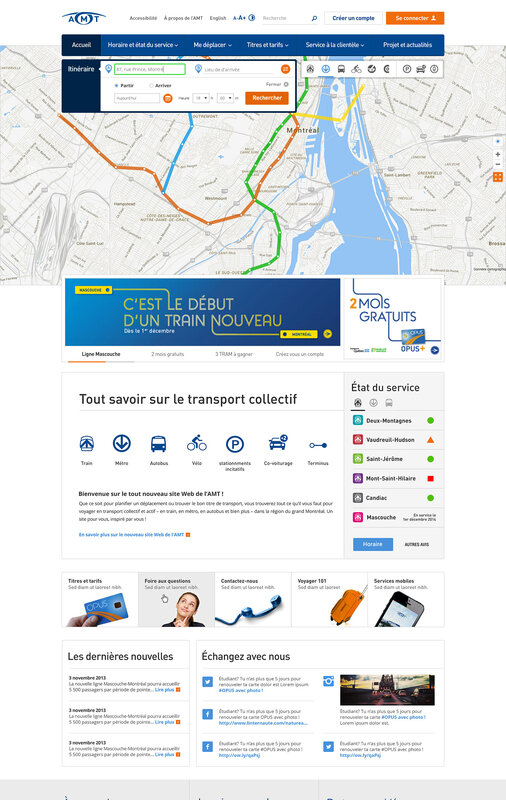 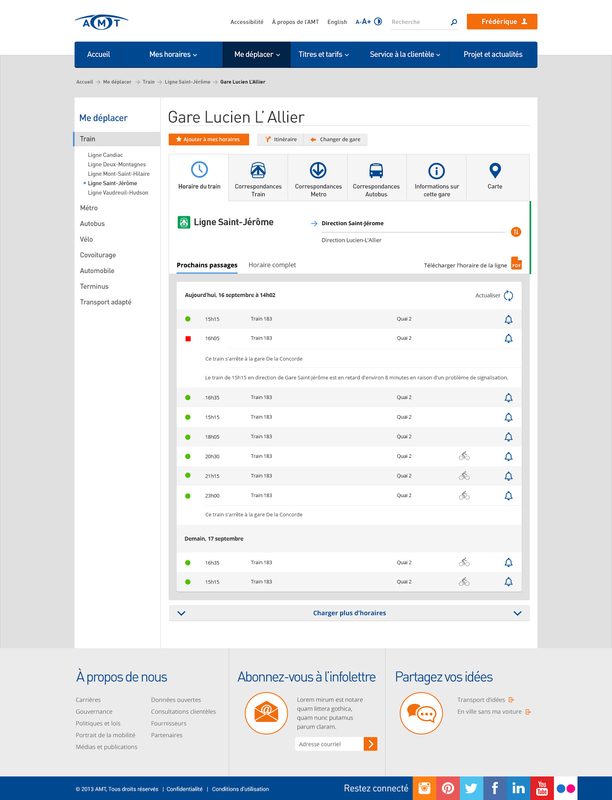 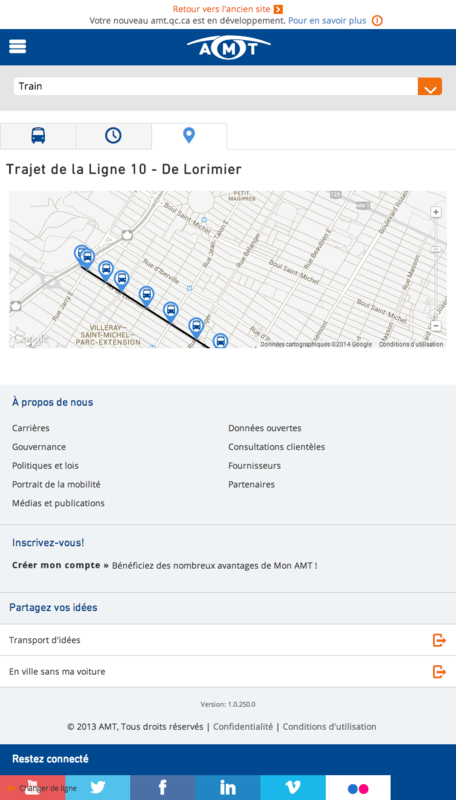 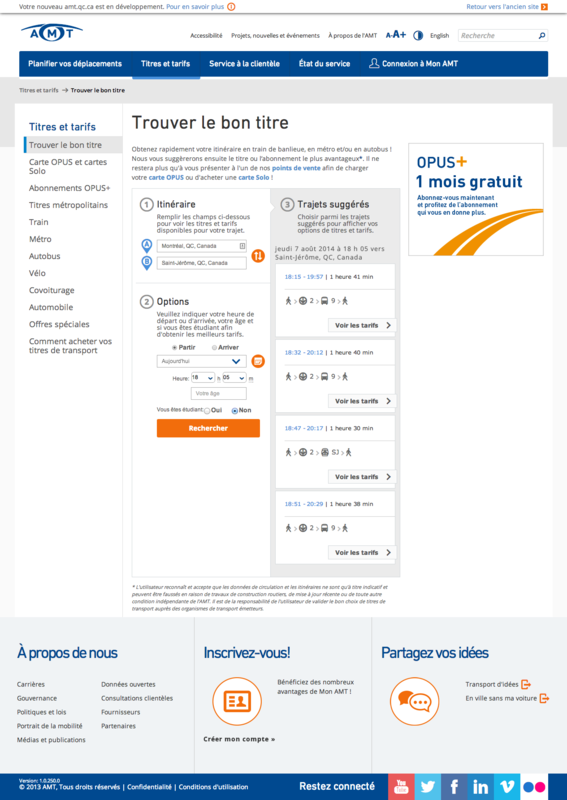 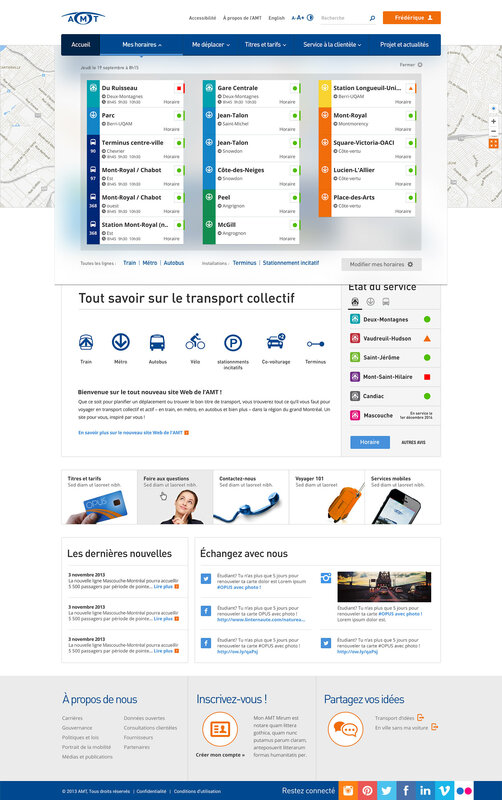 For the first time a tool lets you find the best rate for a specific route through an intermodal route planner covering the Greater Montreal area, the ability for customers to customize their information and manage all their services online as well as the state of continuous service time for the commuter train, the Metro and buses. 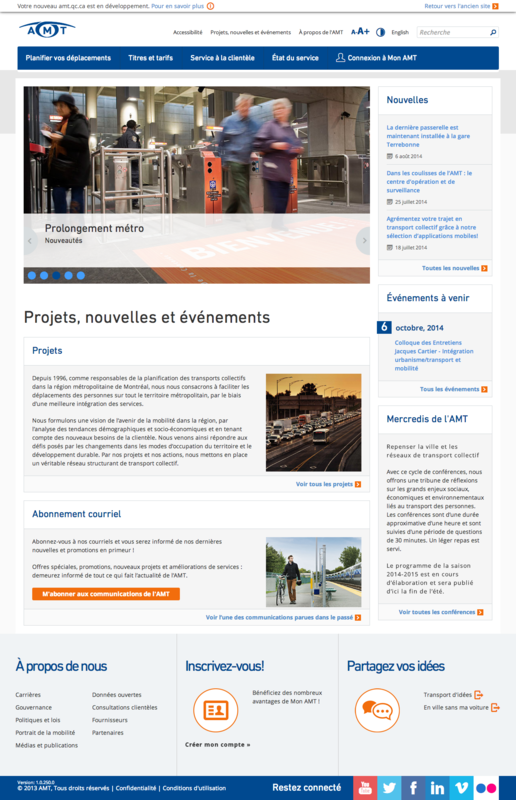 The Metropolitan Transportation Agency (AMT) revealed its new website, which includes information for the better planning of trips by public and alternative transportation. 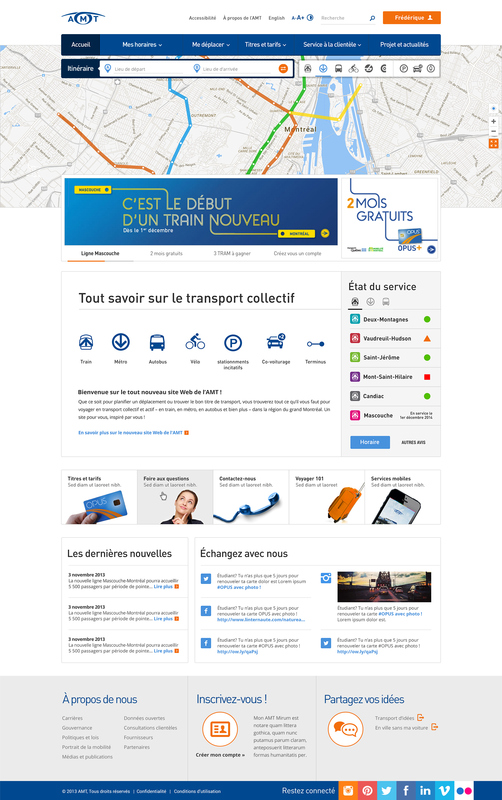 For the first time a tool lets you find the best rate for a specific route through an intermodal route planner covering the Greater Montreal area, the ability for customers to customize their information and manage all their services online as well as the state of continuous service time for the commuter train, the Metro and buses.